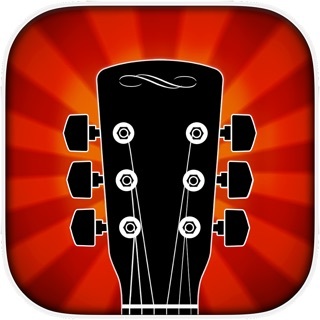 Modal Buddy for guitar is a fun and unique practice tool that teaches you modal theory in one day. It's also a jam tool that provides looping backing tracks, scale charts, and let's you explore the anatomy of modal scales. 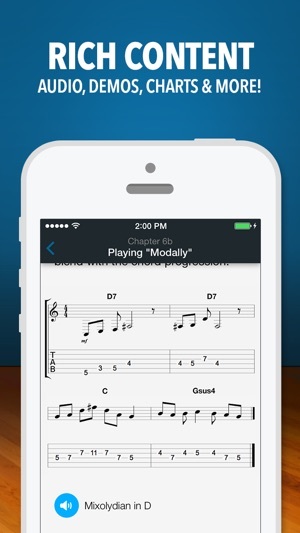 Now you (and your students) can conquer modes quickly and spend more time soloing! 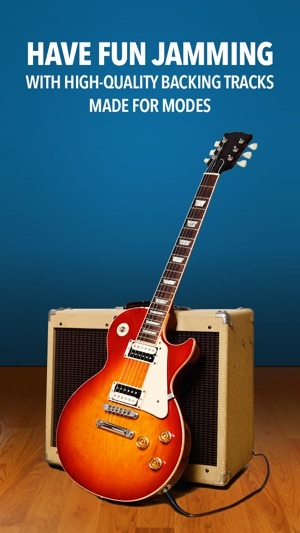 Modal Buddy arms guitarists and instructors with an intuitive, step-by-step method for teaching and practicing modal theory, improving proficiency and bolstering the value of lessons. It empowers you with a fun and efficient vehicle for exploring the truly magical yet notoriously complicated world of musical modes. Q: WHO IS THIS APP FOR? 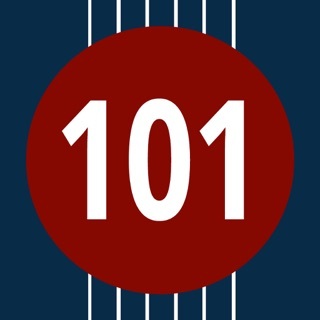 1) Music instructors with a BASIC understanding of modal theory who want to increase their confidence and effectiveness in teaching this fairly complex topic. 2) Music instructors with a COMPLETE understanding of modal theory who are looking for an easier, more consolidated approach to teaching and practicing the material with students. 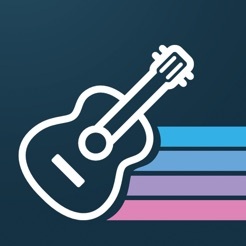 3) Intermediate to advanced music students who are proficient in pentatonic and major scales and are interested in achieving more expressive guitar improvisation / melody creation. 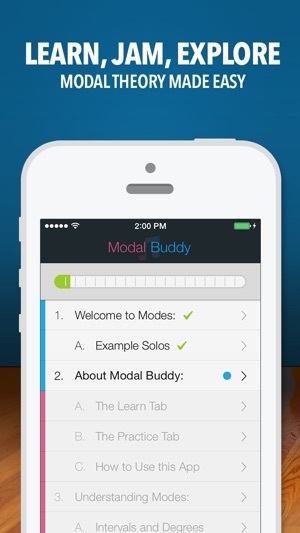 Q: MODAL THEORY LITERATURE IS AVAILABLE EVERYWHERE - WHY BUY THIS APP? The breadth of freely available information about modal theory is the main reason it’s so difficult to learn (and teach) - there is simply too much out there, and much of it is poorly written or incorrect; a recipe for confusion! Teaching modal theory effectively requires a distillation and simplification of core concepts, organized strategically so they're easy for students to learn - and a method for applying those skills during lessons. For less than the cost of an average theory book, we've consolidated and organized modal theory into it's finest form, and hand-crafted a completely custom experience, ideal for mastering the material. We know you and your students will love our approach! Feel free to send any questions to support@ninebuzz.com. Thanks D. Khmyznikov for finding this! 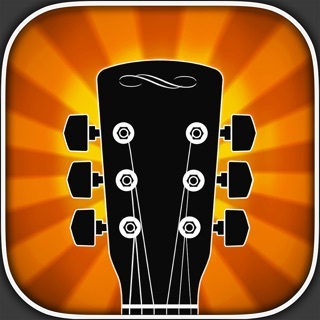 I already know how to play in the modes, however this app is a fantastic tool because it is an excellent reference source as well as a learning and practice platform. There is one minor flaw though - it's an iPhone app so if you run it on iPad it can bug out a little bit - pressing the 1x or 2x button will freeze the app. Other than that very minor flaw this is definitely worth the time money and effort. I think they really did a great job creating this app. The theory was explained in a very simplified way. 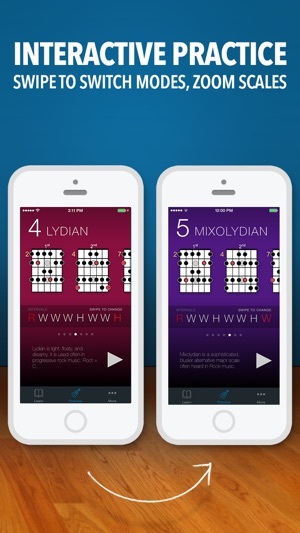 I usually don't have time to studying music theory, but I did read through every section in the "Learn" part of the app. I am also spending a lot of time practicing with their backing tracks using the"Practice" feature. I actually think I'm becoming a better guitarist. 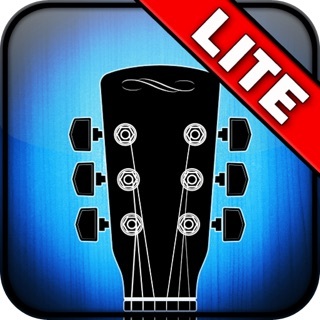 All in all I would recommend this app to everyone. 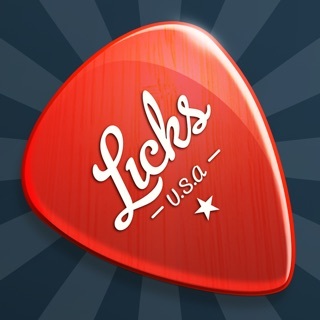 I LOVE THIS APP and I encourage every student I teach to buy it. Even the non guitarists! 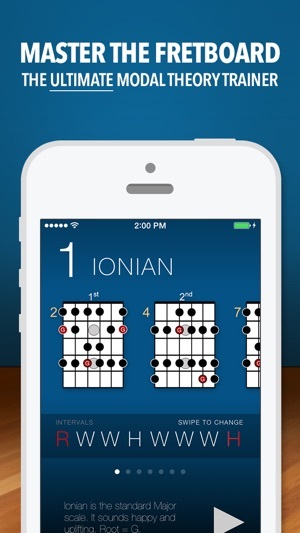 Every musician should have a working knowledge of modes and this app is concise, linear, and very well done. Is it a complete fix for everything? 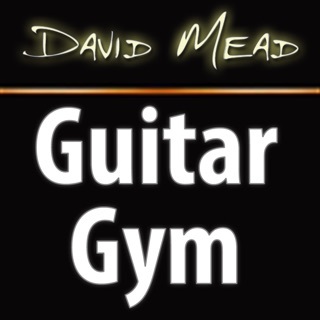 Of course not but it is a fantastic starting point to get your students to start listening for chord changes. Before you run, you crawl. I'm looking forward to more keys in the future.